Facebook spent an inordinate amount of money to purchase Instagram, likely far more than Instagram was worth by any metric, and now it seems that Facebook is earnestly trying to figure out how to make some of that money back. Carolyn Everson, Facebook's VP of Global Marketing Solutions confirmed that the company is planning to monetize the photo sharing app, but it's still unclear how that will be done. The smart money would be on ads coming to Instagram, but Everson was quick to evade saying that. When asked directly if ads were coming to Instagram, Everson simply said, "Eventually we'll figure out a way to monetize Instagram." But, it's hard to imagine other ways to monetize the app. Facebook could add in-app purchases for more filters, but that doesn't seem like an idea that would get much traction. The app likely won't suddenly become a paid app given the millions of users who have already downloaded it for free. Ads make the most sense, because it is the least intrusive option, and advertisers have been eager to get in on Instagram. But, Everson wouldn't elaborate on how monetization would happen, or when the plans could be implemented. I hate Instagram. OH look at the food I'm eating!! ohhhh look at the drink I'm drinking! xD lol, take a chill pill dawwwg! Instagram was originally created to work with IPhone and IPad since their media sharing is very limited. So yes you can say its a hip thing since it is somewhat related to Apple's device. I don't see any purpose having another app to share photo and there's plenty out there.I'm sure Instagram will die down soon since there is no major advantage of having. Like IPhone vs Android, what can Instagram do what Facebook can not do? The Instagram purchase is likely one of the most overvalued purchases of all time. The picture tech isnt as good as many of the competitors (such as Pixlromatic, which has WAY WAY more filters and controls over the pictures) and the sharing feature accomplishes nothing that cant be done with services like Facebook, Google+, and Tumblr. It is one of the most overrated apps of all time. 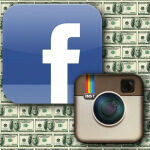 If Facebook was to ever make a profit from Instagram, it wont take months, it wont take years, it will take decades! By then we'll be back to Yahoo! Groups. lol...ads on instagram?!!! i'll choose molome instead! If they added ads to instagram i'd leave it... that would be retarted. Facebook wouldn't be losing money if they stopped hiring the people who keep making dumb changes that most likely cost them millions. I was hating on instagram for a while, but I downloaded it a few days ago and it's sort of cute and fun. I'm certainly not making great art, but the filters add a little flavor to otherwise quick snapshots. My vote is to allow purchasing of prints as stickers, bookmars, cards, postcards, et cetera. Something cost-effective enough for kids to get into it.